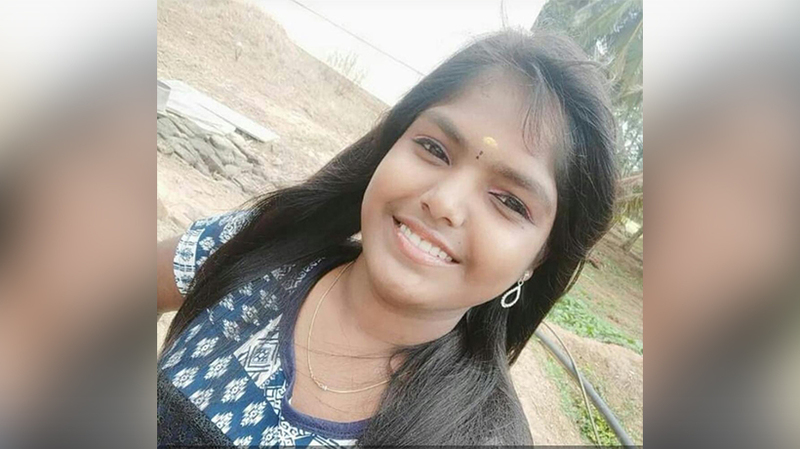 Coimbatore : A second-year-old BBA student died after falling from the third floor of a building during a training session for National Disaster Management at a private college here on Thursday. Lokeshwari (19), as part of training, had to jump from the third floor to the ground, where some students were standing with a net spread, police said. As she reluctantly jumped down after being pushed, she sustained injuries when her head hit the sunshade of the second floor. Though she was immediately taken to the Government hospital, she died on way, police said. The visual, which has gone viral, showed the trainer pushing the girl down. Fellow students alleged that she was not willing to jump. Police said investigations were on.